﻿ manga « Haikasoru: Space Opera. Dark Fantasy. Hard Science. Mr. Mamatas has graciously invited me to guest blog here on Haikasoru.com about a new book that I (being the complete sucker for scifi/military/social commentary/satire/suspense tales that I am) most happily did the editorial grunt-work for. That novel is Yukikaze. And in truth, to call it “new” is a bit misleading. 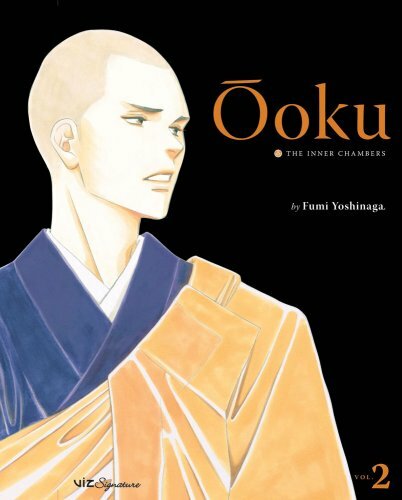 It’s new to the English-language audience, certainly, but the translation that Haikasoru published is actually that of the 20th anniversary edition of the book, which included some minor emendations by the author, Chohei Kambayashi. The long answer is that Kambayashi is one of the most esteemed and prolific speculative fiction writers in Japan. His corpus displays a breathtaking range of format (short stories, novellas, novels) and content (running the gamut from the dead serious to the antically comedic, hard science fiction to straight-up adventure), and even a cursory review of his work explains why he’s been the recipient of armloads of awards. In short, the man is a damn good writer. And what is Yukikaze that it merits a 20th anniversary edition? The short answer is: a damn good book. The long answer is that it’s one of the seminal works of the “Third Generation” of Japanese science fiction, and one that has spawned an array of spin-offs, from video games to toys to dramatizations to manga to anime. Apparently Tada sensei became obsessed with Yukikaze as well, because she went on to do the character designs for the anime and became a story consultant for it as well. Her influence is what accounts for what another one of my colleagues refers to as the, ahem, “bromance” between Lt. Fukai and Maj. Booker in the anime, which is absent from the Kambayashi’s work. And if Rei comes across as a slap-worthy emo boy in the anime, you can lay that blame on her creative doorstep too. But better yet, take a look at the manga if you have the chance since it adds some interesting backstory to how Rei wound up on Faery. When you read Yukikaze you might notice that it’s not structured as holistically as many of us would expect when reading a novel. This is largely the result of the fact that the content originally appeared in serial form in a science fiction magazine, but it’s also due to a difference in emphasis between Western novels and Japanese novels. As a gross (really gross) generalization, Western novels tend to focus more on plot and story—the actual mechanics of what happens and how—whereas Japanese novels tend to focus more on character and causality—the reasons for why things happen and why the people who make them happen do so. In line with that, Kambayashi’s concern in Yukikaze is not to “narrate” and explain the war with the JAM so much as to explore how Rei understands his place within that conflict and his heroic struggle to try and formulate answers to the same hard questions that have always confronted humans: Who am I? What am I doing here? What is it that I’m supposed to be doing here? Is it possible to truly understand another sentient being? It’s Kambayashi’s deft treatment of these questions that has secured Yukikaze’s place in the ranks of classic speculative fiction. Strap in and enjoy the ride. Hello Haikasorunauts, your handsome editor here, blogging from home. You know that thing that’s going around? It arrived. Luckily, our intern Steven is on the case and he sent me a neat little guest blog about a non-Haikasoru series near and dear to my heart. 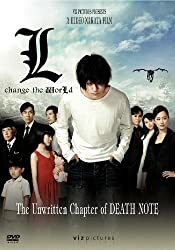 I edited Death Note: L, Change the WorLd, a novel based on the popular manga series Death Note. I brought home copies of the twelve-volume manga when prepping for this project, and told myself, “I’ll just read a couple of the volumes, to get a sense of the story.” By 7AM the next morning, I’d finished all twelve books and fell asleep on the BART train on the way to work. 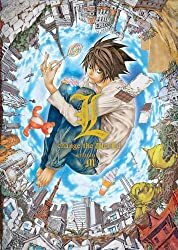 The Death Note series—whether manga, movie, anime, or novel— features an awesome fantasy premise…what if you could kill whomever you want?… and carries its implications to the extreme. It’s Big in Japan as they say, where the series has also inspired several motion pictures, including one created simultaneously with the novel. Trust me, your kids know what I’m talking about. Anyway, here’s Steven discussing his reaction to the manga series Death Note. I hope you’re not one of his neighbors. I was reading the Death Note series recently I began to wonder what I would do if I found a Death Note. Would I use it? If I did, what names would I write? At first it seemed simple, I’d take care of the things that upset my world: evil people, criminals, the neighbor who never brings in their dog while it has a barking fit an hour before my alarm is set to go off. But why would I stop there? What about hateful people? What about people who perpetuate lies and limit our media driven society from being able to rightly choose based on fact or conscience rather than being manipulated by fear and skillful deception? What about the people who spend all of their time and money in an attempt to make sure the majority of people are in favor of things that are directly opposed to the success and well being for the majority of people? What about people who make beer commercials? Once you start eliminating society’s negative forces, where do you stop? The problem is somewhat more complex then it seemed at first. I can easily picture creating a better society by using a Death Note. But at some point I would have to admit that my actions in using the Death Note, however noble my aims, would qualify me for my name written in the Death Note. There’s the rub. To use the Death Note I would become someone who would have to be eliminated to bring about my ideal society. Even in fantasy it’s not so easy to decide whose name deserves to be written in a Death Note. In the Death Note series, Light Yagami comes up with a plan to rid the world of criminals. An interesting plan, perhaps a just plan, and seemingly justified, but I’d also have to say the police are right to be alarmed. I guess it all comes down to who is worthy of judgment and who is worthy to judge. After giving it some more thought, I’ve decided I would be the wrong person to make these choices. I would teeter between thinking all souls should be spared and the next moment would be writing down the name of the guy who just cut me off on the freeway. You know the guy, the one who you inadvertently pass because your lane happens to be going faster than his lane. You weren’t even paying attention to him, but he takes it personally because despite the fact that there will always be someone in front of him on the freeway, he thinks he is in a race. Now that race is with you. After several lane changes and a lot of heel to toe work he finally cuts you off and hits his breaks, just to make sure you know he’s now in front. So you get out of that lane because you don’t want to be driving behind an unsafe driver and then your lane moves faster and you pass him again causing the whole uncomfortable incident to start over. If there was just some way to point out you were just trying to get home. Of course, the Death Note might not work in this situation, as you wouldn’t know his name. Then again, you could pull up next to him and roll down your window, cleverly calling out that you’re writing a book about all of the people you encounter who are better drivers than you are. Appeal to his ego. Yeah, that would work. Or maybe you could just get an upgrade for your Death Note so you’d just have to write down a license plate number. On further reflection I think I’m sure I’d be the wrong guy to have a Death Note. Besides, let’s say we are deciding that it would be okay to use a Death Note to eliminate crime. Do you just write the names of criminals? What about those whose actions create criminals? Should one do the research and eliminate the causes of each and every criminal – the bad parents, the business schools, the media that has parental advisory stickers? Then what? Would it really create an ideal and crime free world if we eliminate the causes that create criminals in the first place? It seems doubtful. We could imagine a perfect world where everyone obeyed and everything was ordered and perfect, and honestly you or I would probably end up committing a crime just to overcome the sheer boredom of it all. So what if we only use the Death Note on violent criminals and the most horrific of world leaders. That would at least create a period of increased peace within our society. But what happens once we breathe a collective sigh of relief and ease up after we’ve all forgotten what evil is and how it is made manifest in our world. Do bad things have to happen so that the rest of us can be wary of bad things happening? Perhaps the fact that evil happens actually helps to limit the amount of evil that takes place. The existence of bad people doing bad things keeps the rest of us on our guard and helps us to be ever vigilant in our attempts to keep bad things from happening to those we know and love. I guess I have to admit that even if I found a Death Note I wouldn’t use it. How could I? I can’t even decide what I would do with it while I’m typing on my laptop. I couldn’t use a Death Note even if I thought I knew who deserved to have their name written down. Then again, here I am at 5:30 in the morning, and the neighbor’s dog is barking once again, and the neighbor isn’t letting the dog back in the house. That Death Note is starting to sound pretty good.